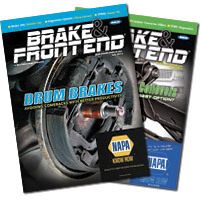 Lesjöfors Springs America has launched a free new catalog app enabling parts distributors and shops to quickly select the correct coil springs, leaf springs and gas spring lift supports for vehicles. Produced following extensive feedback from distributors and shops, the free app allows users to search for the correct part via part number, vehicle look-up, or cross reference by entering an OE number to arrive at a Lesjöfors spring. The app, available to download free via Google Play or the Apple iTunes Store, enables customers to search via part number to find a wealth of useful information, including linked vehicles and relevant OE information. Alternatively, you can search via vehicle, selecting the year, make and model to view all Lesjöfors springs suitable for a specific vehicle. Spring information also is included via an article search tab, which features technical bulletins, product photos, fitting information and supersessions. 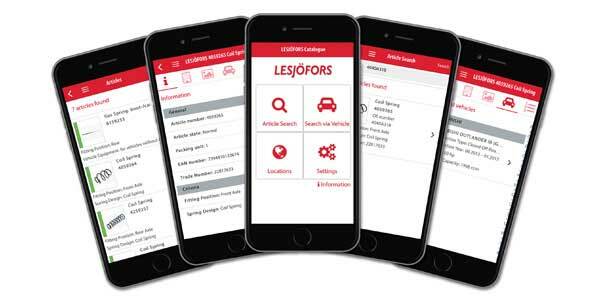 The app includes thousands of existing Lesjöfors part numbers and is being updated with more than 800 new springs recently introduced, for even greater domestic vehicle coverage. As an additional feature, customers can scan the barcode on any Lesjöfors box label for full product details. Visit lesjofors-automotive.com for more information.